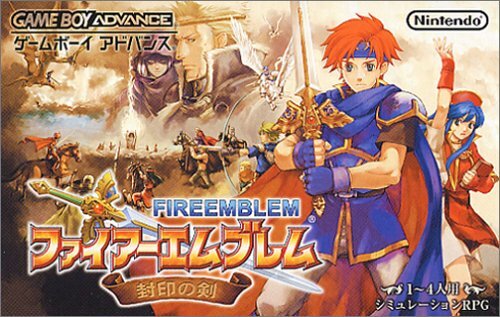 This post is part of a series on reader requested (and personal curiosity) comparisons between Fire Emblem games’ Japanese and English scripts. 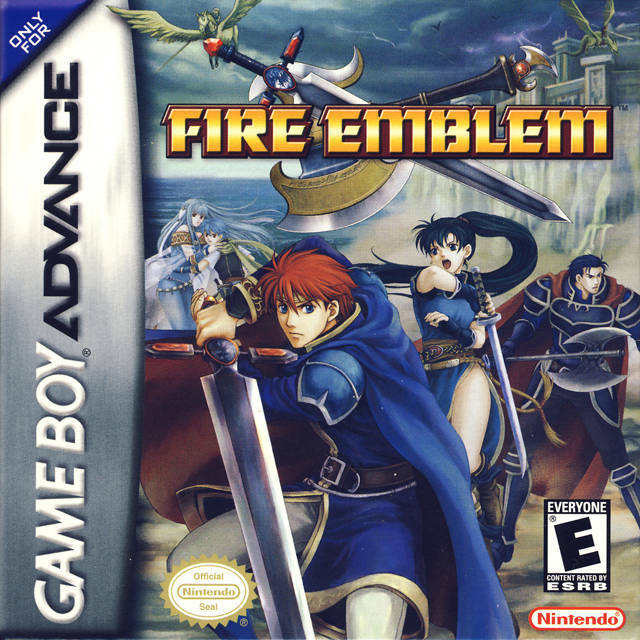 While on the topic of Bartre here, will you cover the mishap that happens when he forgot to bring his weapon in Battle Preparations? They shared a video with it that displays the mishap (shown below). It’s pretty amusing. 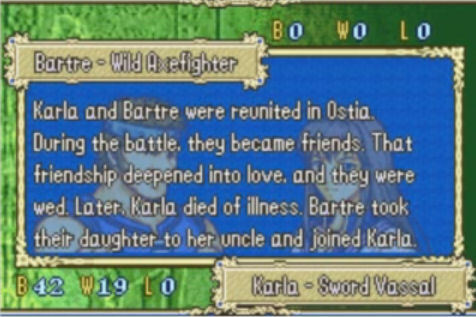 Today’s post concerns a reader request and personal curiosity regarding Barte and Karla’s A support ending in Blazing Blade (seen above). 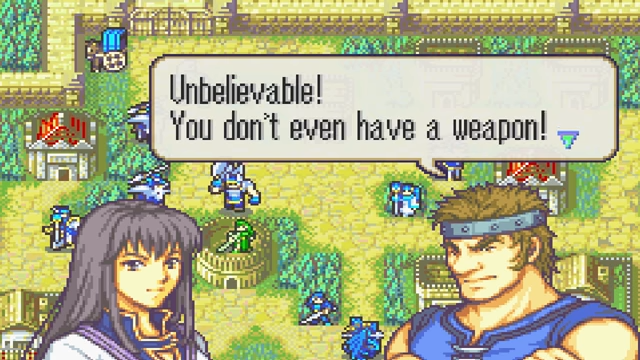 Thanks to some vague wording, it caused a bit of confusion as to the character Bartre’s fate. 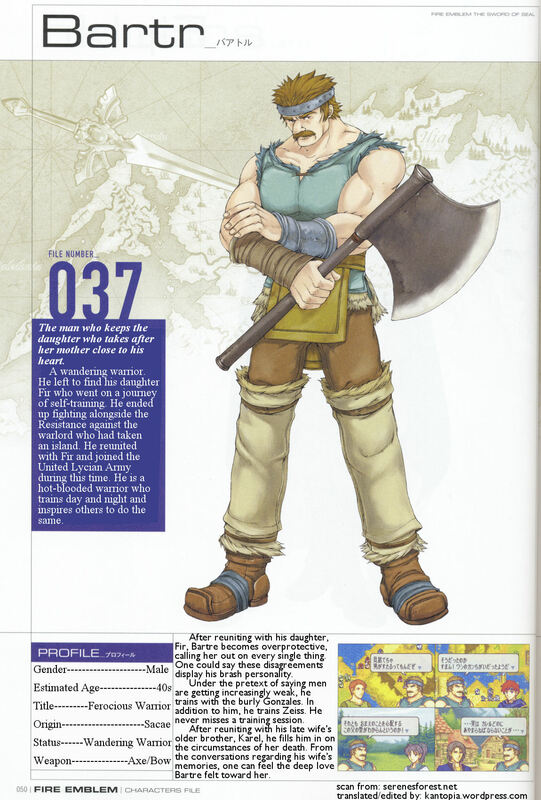 Today I translated and edited Bartre (Fire Emblem: Blazing Sword)’s art book page (099). Japanese and English transcripts can be found below the picture! As well as the original image. 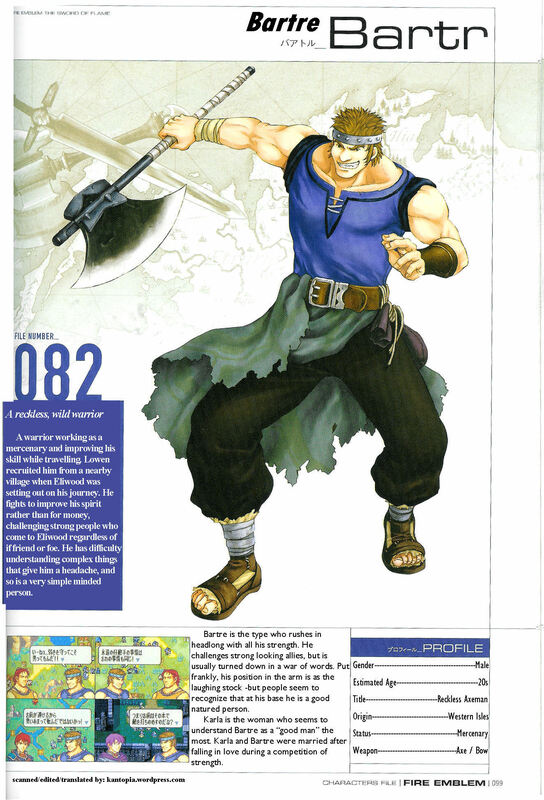 Today I translated and edited Bartre (Fire Emblem: Sword of Seals)’s art book page (050). Japanese and English transcripts can be found below the picture! 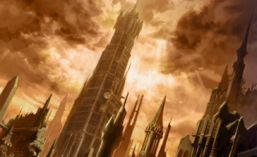 As well as the original image. This scan was from serenesforest.net. 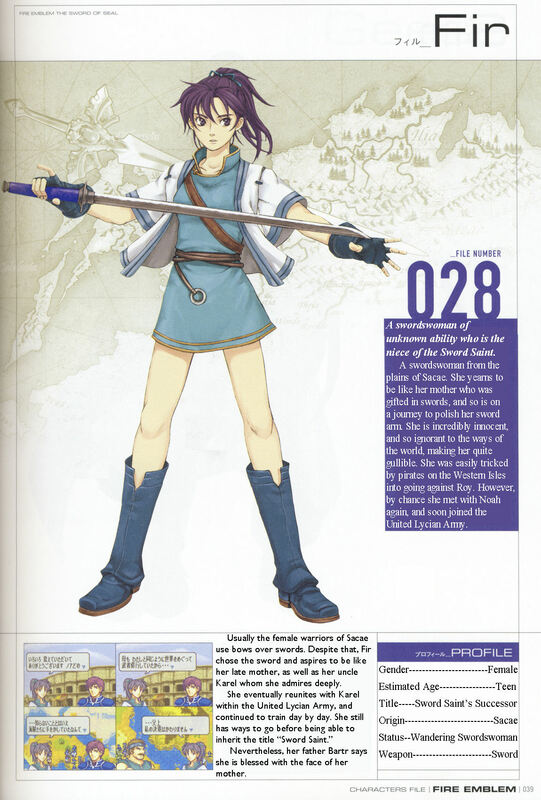 Today I translated and edited Fir (Fire Emblem: Sword of Seals)’s art book page (039). Japanese and English transcripts can be found below the picture! As well as the original image. This scan was from serenesforest.net.